Two men remain in custody this morning over the murder of a Sheffield woman. They were arrested after a woman's body was found in a bungalow in Archdale Close, Manor, yesterday afternoon. Officers were alerted to the death at 12.30pm and immediately sealed off the property where she was found and launched a murder investigation. 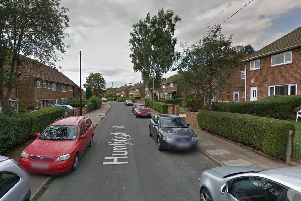 The dead woman has not yet been named by South Yorkshire Police but neighbours said they believed she was aged in her 30s. A police cordon remained in place around the house yesterday while enquiries were carried out at the scene. Officers also carried out door-to-door enquiries on the street to try to piece together the circumstances surrounding the death. Anyone with information should call South Yorkshire Police on 101 quoting incident number 415 of August 2.